you are downsizing and your new home is not big enough to accommodate all the belongings you would like to take with you. you need to move out from your current home before your new home is ready. there are items that you would like to cast aside until some next time. setting aside objects of sentimental value you are planning to pass on your children at some point. People are likely to hold onto things ”just in case” and sometimes putting them into a storage unit can be considered as a balancing act. Whether you are moving house or just running out of living or working space renting a storage unit is always a viable option. When you start your research you need to be aware that not all storage units are the same and also you should specify your needs and requirements. Starting sooner rather than later will help you realize what kind of storage unit is suitable for your belongings and hopefully get one at a convenient price. Short term or long term storage? Deciding on the storage type and finding a proper one is never that easy. Due to lack of space some people may turn to their friends or relatives to ask them to take care of their belongings for some time while others may prefer renting a storage space. – you are moving home, but there is an unexpected delay and you cannot move into your new home yet. – you are having your new home renovated or built and due to ongoing repair works you cannot move into your new home and therefore, need a place to store your belongings for some time. – you are renting while looking for a perfect place you will call home and you need your belongings stored somewhere else. – you are looking to keep your seasonal items away from your new home in order to keep it clutter-free as much as possible. 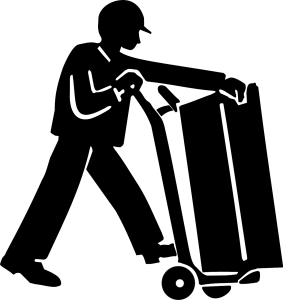 If you are using full moving services provided by a professional moving company, your short-term storage issue will be resolved efficiently, since your movers usually provide storage options as well. – you are going abroad for an extended period or moving long-distance, but planning to save all or some of your belongings until you come back one day. – your new home is not big enough to accommodate some items of sentimental value like your granny’s old piano. – you don’t have enough room to display antiques and valuables that you intend to pass on your children or grandchildren. – you are moving to a smaller home and want to avoid cluttering up your new place by putting bulky and oddly-shaped items in an appropriate storage facility until you need them again. What to put in storage? Once you decide how many and what kind of items you need to store, you will be able to determine how much storage space you need as well as the type of storage facility. When was the last time I used certain item? Do I really need all the items that go to storage? Can I do without certain items? After you think about these questions you may be surprised by how many items you don’t need or have never used at all. Just try to be realistic about your needs and keep it simple! It’s always a good idea to sort through your possessions and declutter when planning to move. After all, moving and storing items that you won’t be using in the future makes no sense. There are several efficient ways to reduce the amount of the moving load: organizing a garage sale, giving away and donating. Furthermore, bear in mind that depending on the local regulations certain items are not allowed in a storage unit, so be mindful of the list of non-allowables while packing up your household. A secure and clean storage facility is something that all customers aim to get, but unfortunately, it is not always the case. Have in mind following considerations when choosing the storage unit. – Know exactly what you want to store and for how long so that you can choose a suitable storage unit. 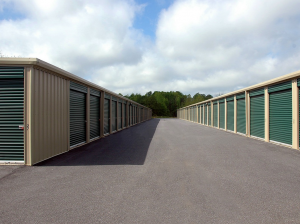 Ask the storage company representative whether there are more accurate ways to determine which unit size to rent, whether they can provide some kind of estimate. Reputable companies should be able to provide a cost estimate online, via phone or on-site and to get details of your storage requirements and needs. – Do you need a storage unit for moving purposes or to store unnecessary items in order to get some extra space? If you are moving house, you may need a temporary storage for your items until you are able to move them into your new home. If you are going to store household belongings because you need an extra space, make sure the storage unit is located close to your home so that you can have access whenever you want. – Ask right questions when you contact the storage company. Just like choosing the moving company, be mindful of their professionalism, experience and attitude. Are the site managers available and easily accessible? Do they seem professional and trustworthy? – Inquire about the pricing. Depending on the type of storage unit you need the price may vary. Also, some storage companies give discounts for long-term rental or if you pay several months upfront. Military discounts are also possible. Just make sure to know all your options. But, even if you get a discount, make sure that the price will remain the same and ask the manager whether they will raise the rent in the future. Have this statement included in the contract – it’s always better to have such important terms in writing. 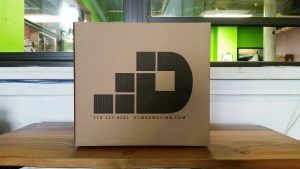 – Does the company have positive online reviews? Remember that a recommendation of a friend or relative can be really helpful. Let someone else’s positive experience guide you in the right direction. – Find out which payment methods are accepted. Are online payments possible? – Does the storage company offer storage insurance? Get proper moving and storage insurance, since your household insurance may not be enough and won’t cover the items while in storage. Have all your items fully covered in case of any damage. – Is the unit closed to the public? – Pack your items properly and prepare them for storage. Keep them safe and protected while in storage. Pack your belongings in suitable boxes and label each one according to the content. Bulky furniture pieces should be dismantled and packed individually. – Do you need a 24/7 access to your belongings? If so, let the storage manager know that. Also, inspect the unit personally before signing any contract. – Visit several locations before signing any contract. Weigh your options carefully and choose a facility that suits you best. – Whether you are renting short-term or long-term storage, its security system must be infallible. Check whether a security code is required whenever your are accessing the facility. Are there security cameras and individual alarms on the doors of each unit? – If you are storing temperature-sensitive goods, make sure to rent a climate controlled storage unit so that your items are kept at a regulated temperature. 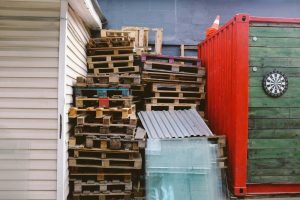 – Is your storage unit well-maintained? Does the company provide pest control services? – When signing a lease make sure you understand all terms and conditions and read any fine print so as to reduce the possibility of unpleasant surprises. – If you have a lot of items to store you may be needing a moving truck. Storage companies usually offer moving trucks or vans and other moving supplies and you can even get a discount for those additional services.